I had my epiphany with greens late last fall. 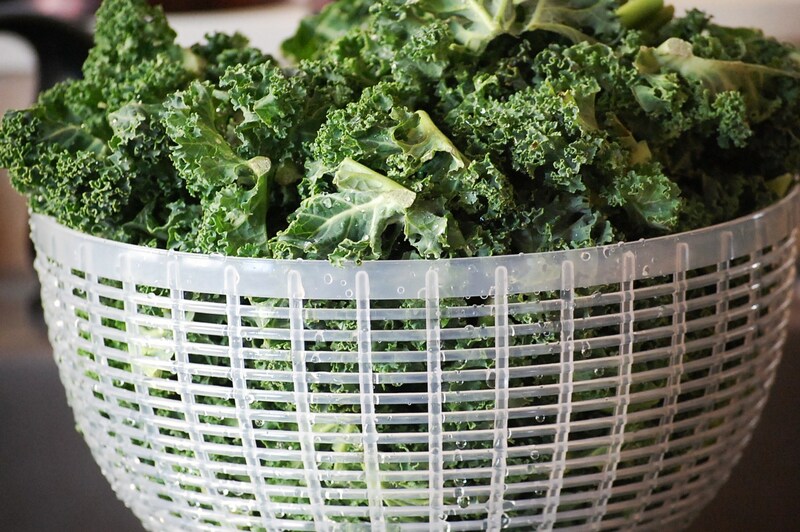 After weeks of wrestling with recipes for the abundance of greens flooding our CSA, I found the ONE. 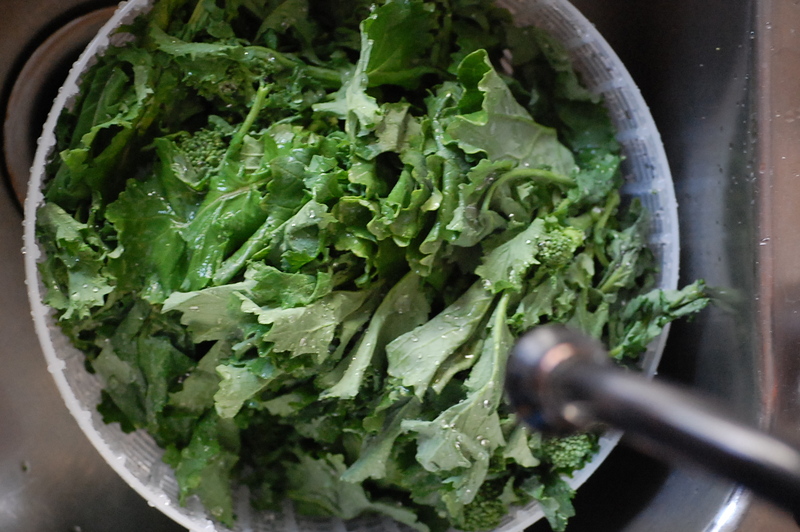 Up until then I hadn’t found any recipe that just made me want to eat more than a few spoonfuls of our generously-growing kale, mustard and beet greens, collards, or broccoli rabe. 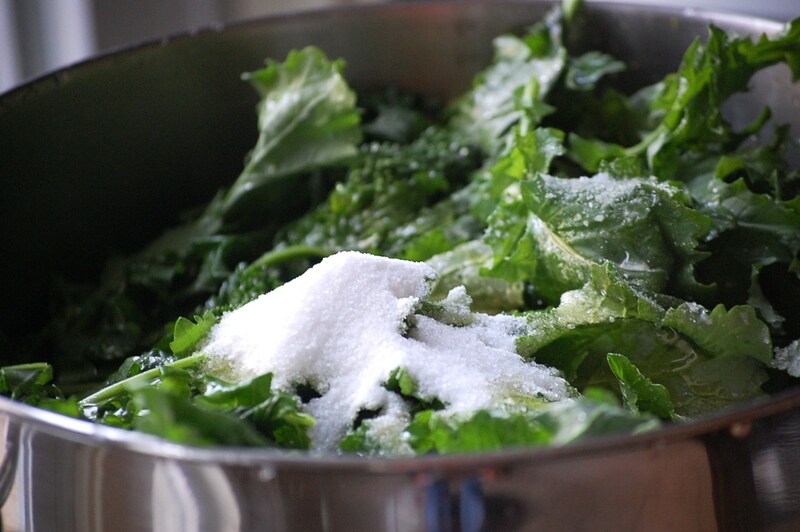 Using salt pork or bacon for flavor is not always my thing, neither is consistently “boiling the greens to death” as so many recipes called for. This elegantly simple recipe was found in a Wegmans supermarket magazine and I am won over. 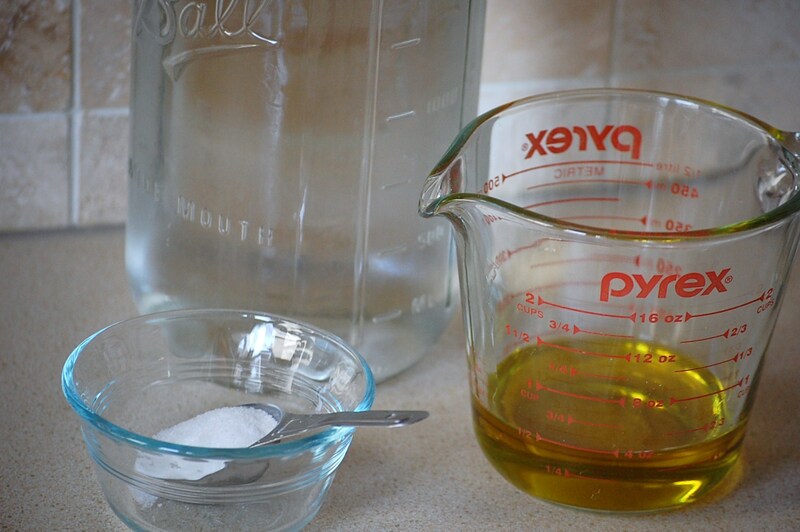 If you are wanting to fortify your health for the winter/fall flu season, here is your recipe. 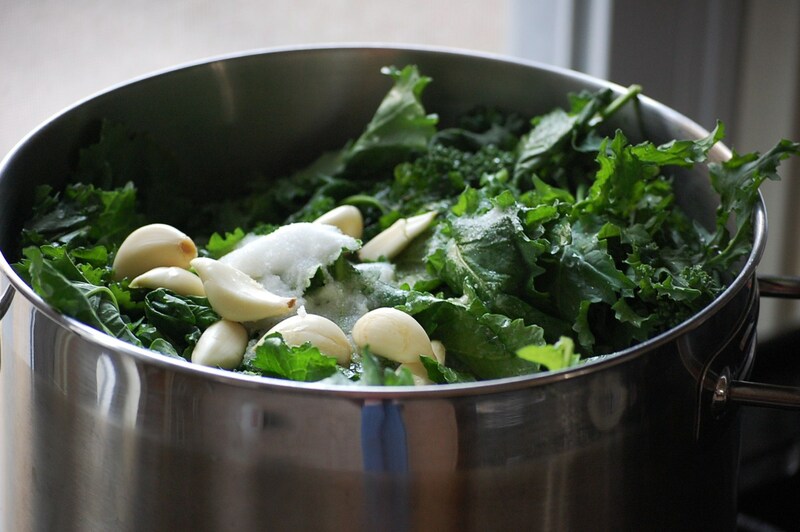 You are loading up on vitamin-rich organic greens, plenty of lemon-tamed garlic to build immunities, and lashings of golden-green extra vigin olive oil to help you absorb the nutrients. I found myself devouring bowl after bowl one chilly afternoon when nothing else appealed to me. For some reason, I found this to be my elixer of satisfaction, quenching both my hunger and thirst. 1. Juice lemon. 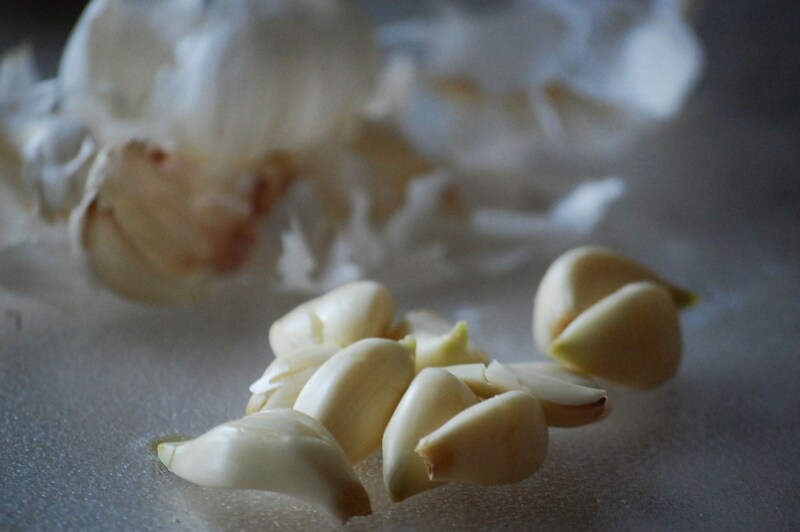 Peel and mince garlic cloves or leave whole. 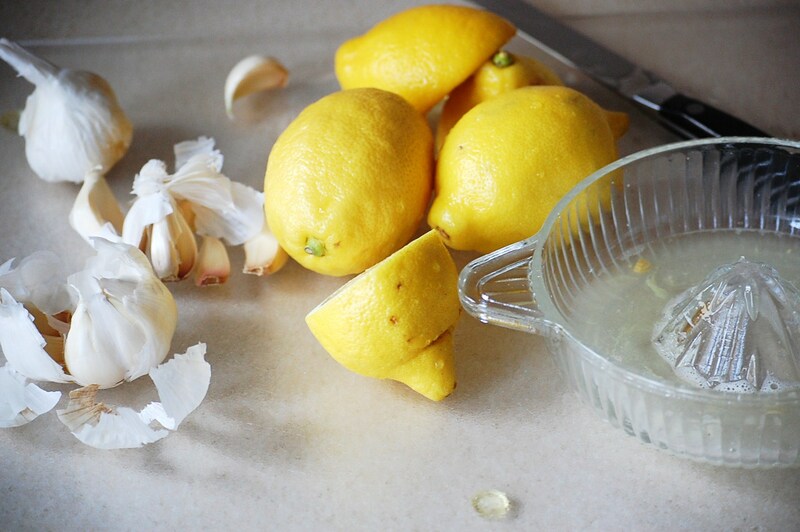 Pour water, lemon juice, olive oil, garlic, and salt into a pot on high heat. 2. Wash and tear greens if needed. 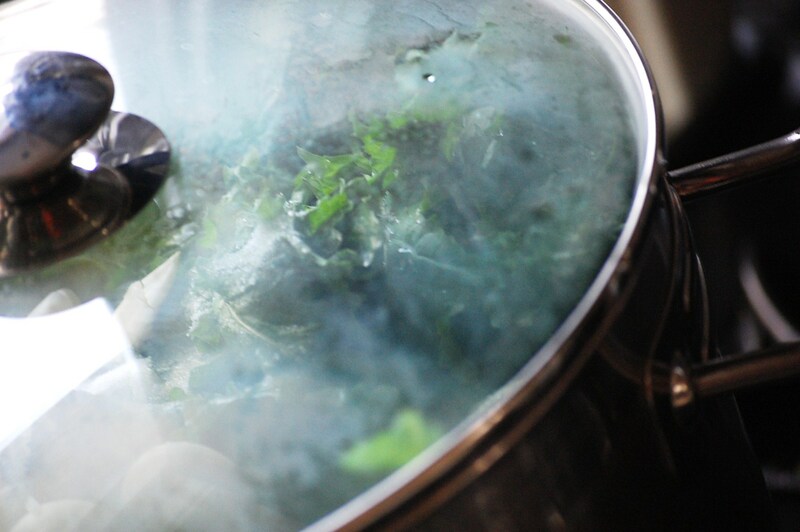 Add greens to the liquid and bring to a boil. Cover and cook 15-20 minutes or until the greens have changed color. 3. 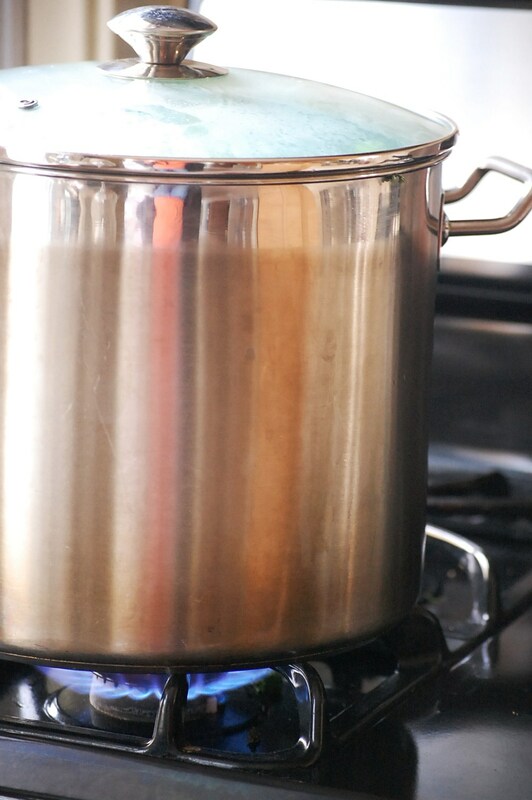 Eat piping hot. Serve with grated cheese, if desired, and toasted bread or brown rice to sop up the flavorful, life-giving juices. 14 Jan	This entry was published on January 14, 2013 at 8:34 pm. 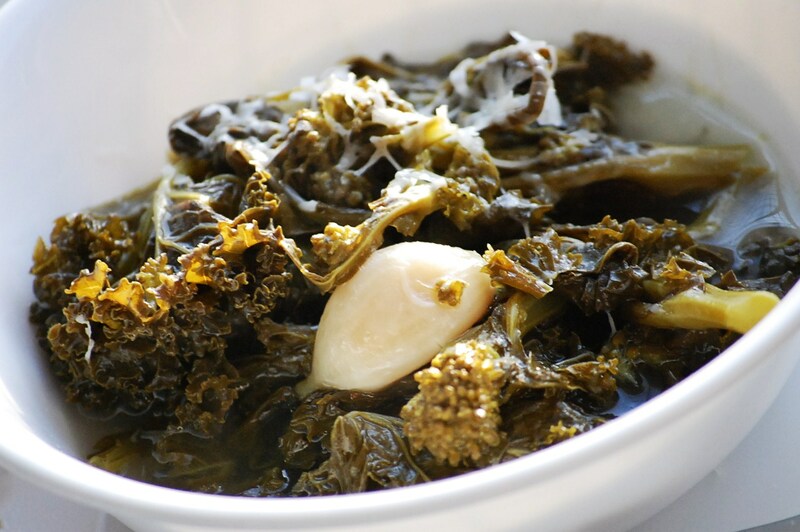 It’s filed under Autumn, Light Bites, Side Dishes, Spring, The Basics, Winter and tagged braise, garlic, greens, healthy, lemon, olive oil, vegetarian. Bookmark the permalink. Follow any comments here with the RSS feed for this post. I was just going on the computer to get a recipe for all the beet greens left over from the beautiful beet salad prepared by Emily and Abby and there you were! Thanks–going to try it tonight for dinner. I hope it’s as good for you as I think it is!! I too have boiled greens to death. Wegmans does have many good recipies from time to time. I have also made similar greens but sauted them in a skillet with the ingredients as you described, but mid way of sauteing I finished cooking it by covering it and turning the heat off, letting it finish on its own in the pan steaming itself. (keeping all the nutrients in tack) I add the fresh lemon juice just before serving to give it a stronger taste and garnish with freshly grated parm or romano and peppercorns. I have also added what ever beans or legumes I have on hand to give it protein. 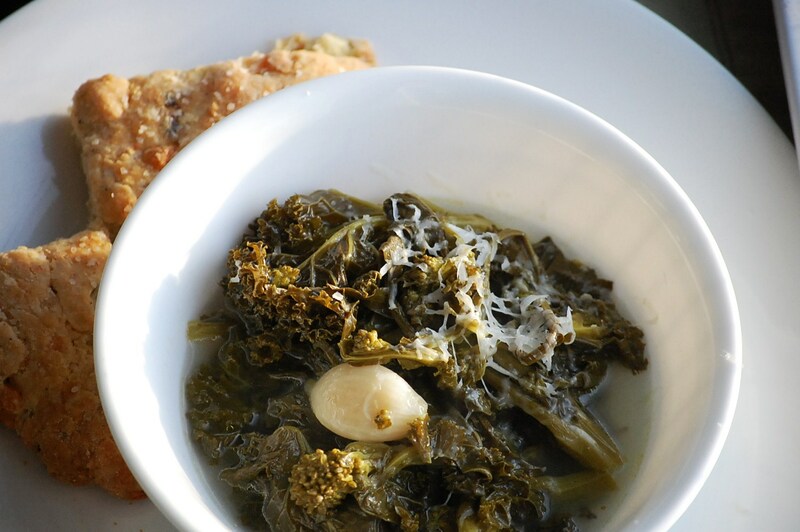 (Beans & Greens) This is a meal in it self if you serve this with your zuchinni pizza crust naked or lightly topped. I completley enjoy your recipe for zuchinni crusted pizza- YUMMY!!!! I make the crust and serve it with soups, chowders, salads too many to list…… a great accompniment.Thank you Anna!